In the online era, access to electronic content has never been easier yet the ability to discover academic information on specific places or topics is still hindered by current search technologies that rely on keywords, topics, text, and authors – concepts of cataloging and searching that date back to the late 1800’s. It was this frustration that led US Agricultural Research Service (ARS) ecologist Jason Karl to his eureka moment JournalMap. Working with the web application developers at The Other Firm, Karl has developed a unique search application that provides a unique and satisfying experience to users seeking science papers based upon research study locations and physical site variables. 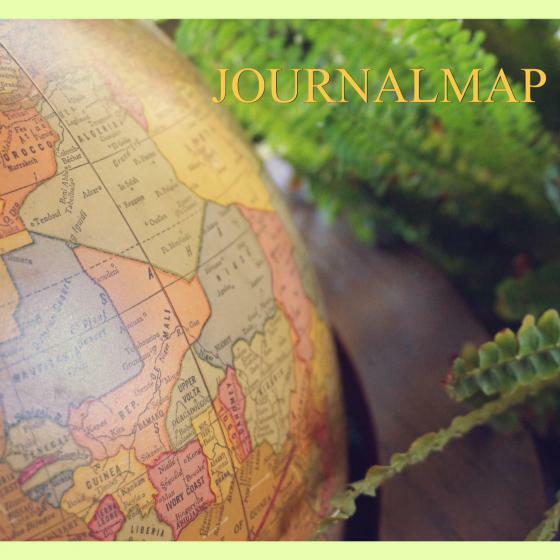 Articles in the JournalMap citation index are geotagged based on locations reported in the study and then plotted on a world map. In addition to typical search methods, JournalMap allows users to identify published data by regional environmental and ecological characteristics that might also be relevant to regions where there is little or no ecosystem data. Say – for example – you want to identify articles published in Journal of Natural History between 2011-13, with the research located in China. You also want the results to show only papers from studies where average annual precipitation in the study area is up to 1000mm, and where the elevation is below 1500m. A simple search and filter using JournalMap allows you to identify the geotagged articles in seconds. "JournalMap’s database of geotagged scientific literature and location-based literature search capabilities not only improves discovery and visualization of research occurring in specific areas, but also helps identify opportunities to transfer relevant knowledge to similar areas, select studies for syntheses and meta-analyses, detect patterns and trends in knowledge over time, and show where data gaps might exist," says Jason Karl, US Agricultural Research Service. Now, leading academic publisher Taylor & Francis is supporting the JournalMap effort. Step 1 is to georeference scientific literature on a large scale. • Georeferencing the archives of three journals: Journal of Natural History, South African Journal of Plant and Soil, and Studies in Neotropical Fauna and Environment. • Implementing technologies and workflows for automating article geotagging as part of the publishing process. • Linking JournalMap's geotagged article records to Taylor & Francis Online. With almost 3,000 articles from these three journals already geogtagged, the results of the initial pilot are very encouraging. Further, the implementation of some sophisticated algorithms and workflows to consume the publishing industry standard XML formats to parse out geographic coordinates when they are present in the article is showing great promise for streamlining location attribution. "We’re very excited to be working with the JournalMap team to expand the range of content indexed on JournalMap to include Taylor & Francis journal articles and to help the team further develop JournalMap as a content discovery tool. We think that geosemantic search is a great way to facilitate the discovery of Taylor & Francis content in a new way that reveals interesting articles and patterns. We will explore with our authors how we can help them provide us with the correct geographical coordinates to facilitate the growth in geosemantic search," Gillian Howcroft, eProducts Director, Taylor & Francis Group. Read more about JournalMap here. For more information contact Dr. Jason Karl here.